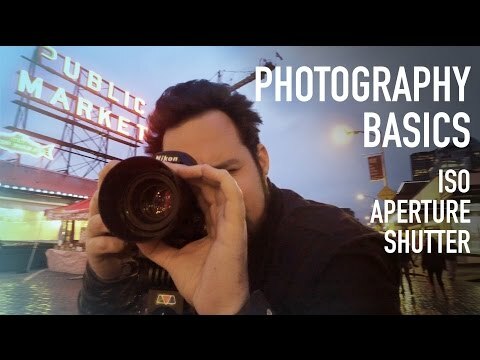 If you are tired of the picture quality offered by your Smartphone camera or your point-and-shoot camera, a DSLR camera might be the best thing for you. It will help you take your photography to the next level, and allow you to click pictures are shoot videos of a far superior quality. DSLR cameras offer far more options in terms of manual controls as well as increased range of lenses that allow you to work with different types of imagery. Why should you opt for a DSLR camera? DSLR cameras tend to be more expensive that point-and-shoot cameras and offer far lesser functions that Smartphone devices. So, why should you splurge that extra cash on one such device? Well, there are numerous benefits available from such cameras, and some of these benefits have been discussed below. DSLR cameras offer enhanced quality as far as the pictures or images are concerned. This is not only due to the increased megapixels on offer, but also due to the far superior quality of lenses and sensors available. DSLR cameras offer numerous options for manual controls that can be adjusted depending on your needs or desires. 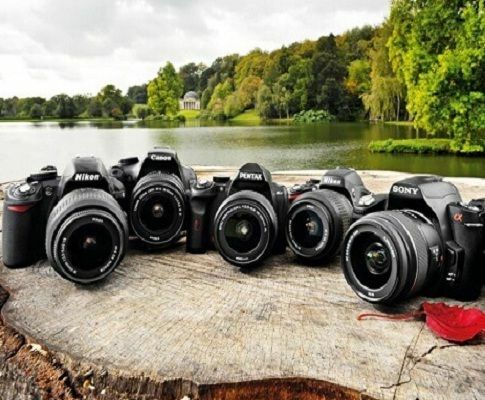 There are a number of lenses that can be used with DSLR cameras, each of varying sizes. This allows you to widen your range and offers more options for your photography. Enhanced sensor qualities ensure that you are able to capture high quality images and shoot clear videos in all kinds of light conditions. The hardware used in DSLR cameras are also of a far superior quality when compared to high-end point-and-shoot cameras. This makes it easier for you to use your cameras in all kinds of environments without much risk of damage. There are a number of other such reasons that make DSLR cameras the best choice for you if you enjoy a great passion and enthusiasm for photography. Considering all these important benefits, the high prices of these devices are quite justified and reasonable, and should not be an issue for any enthusiastic photographer. There are a large number of DSLR cameras that you can find in the market if you are looking to upgrade your photography equipments. While some cameras offer exquisite features and performance, there are others that have moderate price tags to accommodate the budgets of average photographers looking for inexpensive models. How, there is no point in opting for a high-end DSLR camera with a sack-load of features and an expensive price tag if you are a basic entry level photographer. You would only end up paying way more than you absolutely need to. There are a few models that have adequate functions to cater to your entry-level photography. Today, we have listed a few of the best Entry level DSLR camera so that you can consider them as your first DSLR cameras. The Nikon D3400 is pretty much the same as its predecessor, the Nikon D3300, in terms of the hardware, design or the specifications and features. The D3300 was one of the best DSLR cameras for beginners until very recently, and now, the D3400 takes its place on our list. Apart from some top features that were also present in its predecessor such as a 24.2MP APS-C sensor, a host of modes for automatic shooting, and a number of other useful features, this camera also includes an added feature. The presence of a SnapBridge Bluetooth technology allows you to connect and transfer images with other devices wirelessly. The device does not feature a touch-screen, but has a host of other features that make it one of best DSLR cameras for beginners. 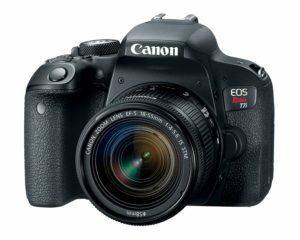 The Canon EOS Rebel T7i, also known as EOS 800D in some parts of the world, is probably the best Entry level DSLR camera released by the Japanese company. The camera features an upgraded 24.2MP image sensor for improved ISO performance. The camera also features an impressive autofocus system that allows you to focus and shoot images quite easily and quickly. The absence of the ability to shoot videos in 4K quality may be one of the disappointing factors of this camera, given the expensive price tag. However, the camera is certainly able to make up for this disappointment with other impressive features. The quality of the materials used to design the exterior body of the camera is also pretty low when compared to many other entry level DSLR cameras out there. Despite all these downsides, this camera is still one of the finest DSLR cameras for beginners. If you are looking for a good-quality DSLR camera that offers incredible performance without being too heavy on your pockets, you might want to consider the Nikon D5600. The D3000 series from Nikon is meant to offer introductory DSLR models, but the 5000 series allows you the liberty to get a little more creative. Sporting a large 3.2-inch articulating touch-screen, this unit allows you to control your photography by the single tap of a finger. The 39-point Autofocus system is also the best that you will be able to find in any entry level DSLR camera. The price of the camera is also a great advantage considering the quality of the hardware, the incredible features on offer and the impressive performance that this device can deliver. 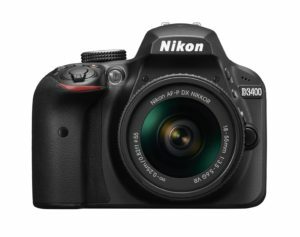 Hence, if you are looking for the ideal combination of an inexpensive price tag and high-quality performance in an entry level DSLR camera, the Nikon D5600 should be the one for you. When buying a DSLR camera for the first time, it is important to maintain a high standard in terms of quality and performance. This will ensure that you are able to develop the quality of your photography as well. The best Entry level DSLR camera out there is certainly going to be slightly expensive when compared to other competitors, but in the end, paying that extra bit might just be the best thing for you!